GocheGanas Nature Reserve & Wellness Village offers a unique combination of wildlife, nature and wellness experiences. 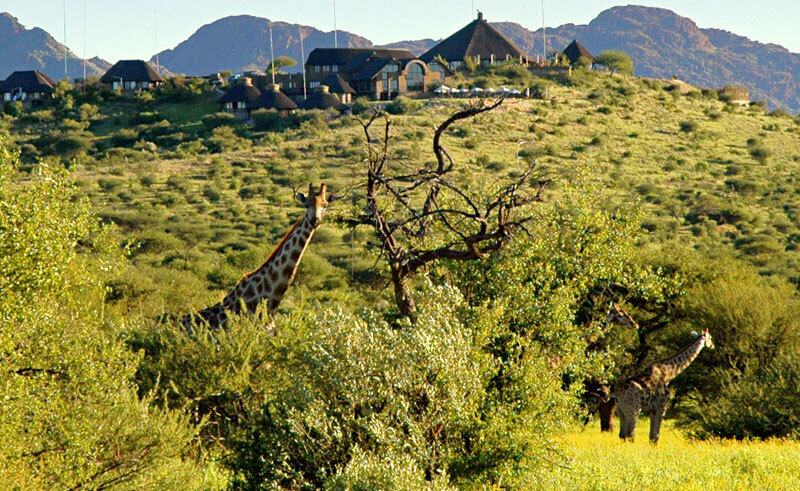 Located 30 kilometres from Windhoek, GocheGanas is perched on a hilltop commanding spectacular views. 25 different species of large game roam the 6000 hectare nature reserve, including giraffe, zebra, springbok and rhino. There is also a fascinating variety of birdlife. You can discover the wildlife on game drives, walks or by bike. The Wellness Village features 11 treatment rooms with state of the art equipment including a hydrotherapy bath, Vichy shower, heated indoor pool and a cave sauna. GocheGanas contains 15 spacious private chalets with thatched roofs, plus a Crown Suite which is ideal for families. 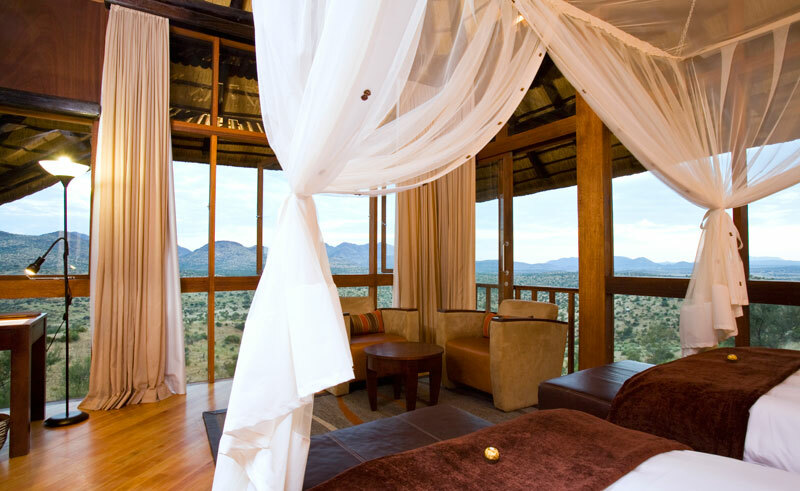 All chalets boast private decks with stunning vistas over the nature reserve, air conditioning, a TV and mini-bar. Some of the chalets also have outdoor showers. Embark on a game drive with a guide searching for wildlife. 25 different species of large game roam the 6000 hectare GocheGanas Nature Reserve, including giraffe, zebra, springbok and rhino. The guide will teach you about the flora and fauna found in the area, including many interesting bird species. Explore the nature reserve on foot with a guide (approximately 1.5-2 hours). 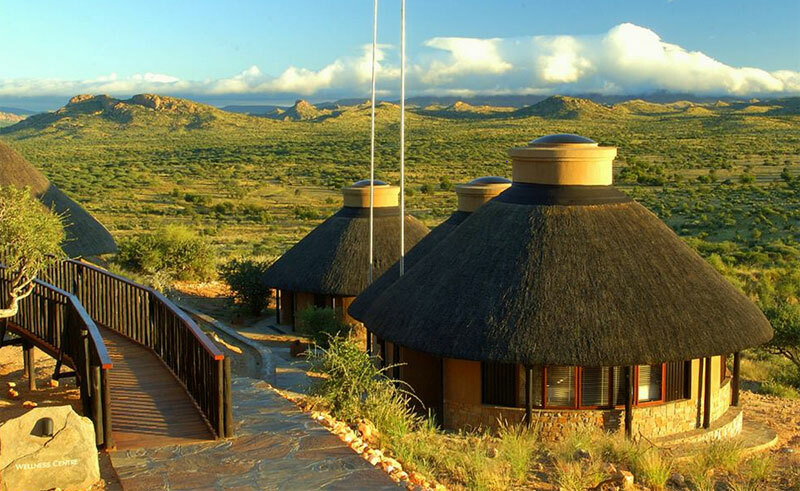 Enjoy the spectacular scenery and look out for wildlife including antelope, warthog and ostrich. Mountain bikes can be hired to explore the nature reserve on the well-marked routes around the lodge. This can be done guided or unguided. The Wellness Village at GocheGanas features 11 treatment rooms with state of the art equipment including a hydrotherapy bath, Vichy shower, heated indoor pool and a cave sauna. It is advisable to pre-book treatments. Please contact us for more information.